Love this top it was worth the wait for delivery. The pattern is very pretty almost a Japanese look to it. Delighted. "Love this top it was worth the wait for delivery. 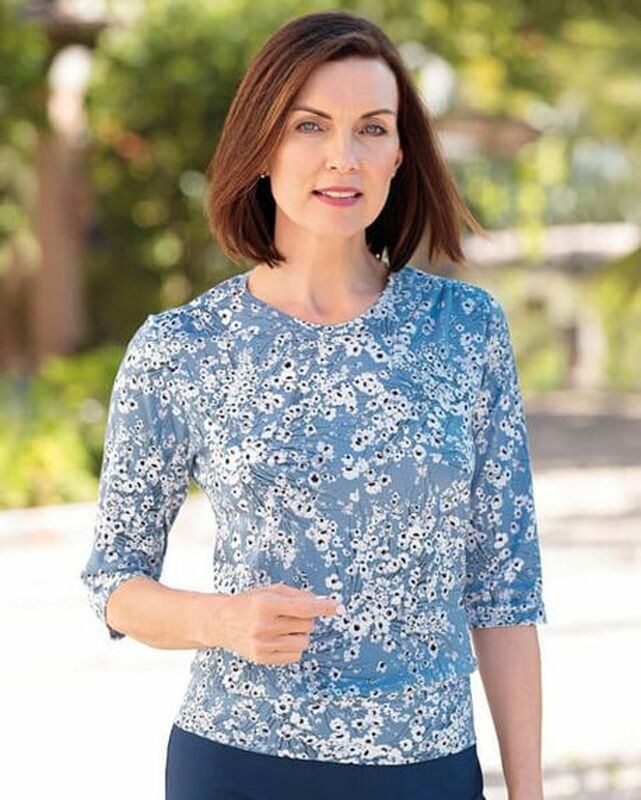 The pattern is very ..."
Ladies attractive white floral print blouson top, with a hint of lilac on a pale blue base. Comfortable pull on style with three quarter sleeves designed to cover the elbow. Cut from soft, pure Austrian cotton jersey with flattering ruched shoulders and a broad welt. Comfortable yet stylish, this pretty patterned top would be a welcome addition to any wardrobe.